Anna Heinrich Instagram, wedding details and baby plans. For Anna Heinrich, no personal questions are ever off limits. At least, that’s the way many people treat her as a woman who works in the public eye and as a woman who met her husband, chiropractor turned Neighbours star Tim Robards on Australia’s very first season of The Bachelor in 2013. 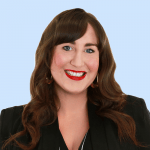 While Anna is still a lawyer, she also regularly writes for her website Love Always Anna, is a spokesperson for numerous campaigns and commands a legion of dedicated social media followers. Since continuing to share her life online since first appearing on our TV screens in 2013, Anna said she has developed some coping mechanisms when it comes to dealing with overly personal questions hurled her way on a daily basis. She also warns that even the most well-meaning questions can have a negative impact. “You become immune a little bit,” Anna told Mamamia. “I was asked for years when I was getting married and I think being asked that question over and over and over and over again put me in good stead, but it was really hard at the same time. “Being in a relationship and just trying to live your life and grow together. With the kids question, it’s the same thing. “When we decide together that we’re ready we’ll start trying, and it will happen if it’s meant to. Fingers crossed we’re blessed with some miracles. One question that Anna is always happy to answer, over and over again, is why she chose to be an ambassador for the Witchery White Shirt Campaign, a special partnership that was formed in 2000 between Witchery and the Ovarian Cancer Research Foundation (OCRF). The statistics are alarming. Every eight hours, one Australian woman dies from ovarian cancer – but unlike breast and cervical cancers, there is no early detection test. “[So] when you buy a White Shirt from Witchery between April 10 and May 8, all gross proceeds will be donated to the Ovarian Cancer Research Foundation so they can find a non-invasive, early detection test,” Anna explained about the campaign, which also features ambassadors such as Julie Bishop, Brooke Boney, Steph Claire Smith, Laura Henshaw and Jessica McNamee. Anna Heinrich for Witchery&apos;s White Shirt campaign. For Anna, putting her face to an important issue like ovarian cancer was a moment that has stuck with her since she first filmed for the campaign. “At the campaign shoot, I was fortunate enough to meet Leane Flynn,” she told Mamamia. “Leane is an OCRF/White Shirt Ambassador and ovarian cancer patient, and it was hard for me not to shed a tear listening to her story. “She is a beautiful mother of three girls and I felt that her family was very similar to mine, as I am one of three girls. “From that point forward, I knew I needed to do everything in my power to spread as much awareness about ovarian cancer as possible. It’s known as the silent killer because it’s a difficult cancer to detect, especially during the early stages. As for what the future holds for her, Anna will soon be back on our TV screens in a whole new role as she is currently filming the new Network Ten show Trial By Kyle with Kyle Sandilands. The show, which was part of Ten’s Pilot Week lineup last year, has been picked up for a full series and allows Anna to flex her criminal lawyer skills. The Witchery White Shirt Campaign has been instrumental in helping the OCRF fund expert research scientists, innovative projects and essential research equipment. Visit Witchery in store or head online (witchery.com.au) to purchase a White Shirt from the OCRF collection from April 10 to May 8, 2019. 2019 marks Witchery’s eleventh annual White Shirt Campaign in partnership with the Ovarian Cancer Research Foundation (OCRF). The Witchery White Shirt campaign's mission is to raise funds for the development of an early detection test that will save women's lives. 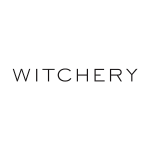 For every White Shirt sold, Witchery will donate 100% of the gross proceeds to the OCRF. The collection will be available to shop online and in Witchery stores in Australia and New Zealand from 10th April to 8th May 2019.